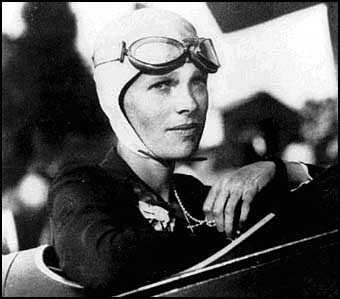 Amelia Earhart. Just the mention of her name makes people think of both adventure and tragedy. Ms. Earhart saw her first airplane at when she was 10 years old but was not impressed and didn't think about it again until 1920. She was with a friend watching a flying exhibit from afar when the pilot spotted the friends and decided to buzz them. Ms. Earhart just stood there unafraid but interested. In late 1920, she took a plane ride and knew then that she had to fly. On June 1, 1937, with rumors of war swirling about, Ms. Earhart and her navigator, Fred Noonan, left for a flight around the world. 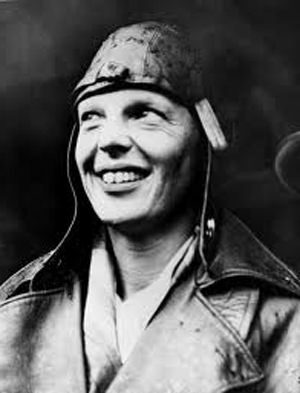 Ms. Earhart made radio contact with the Coast Guard ship Itasca, upon leaving Lae Island on the way to Howland Island; however, between the two islands, they lost radio contact and never made it to Howland Island. 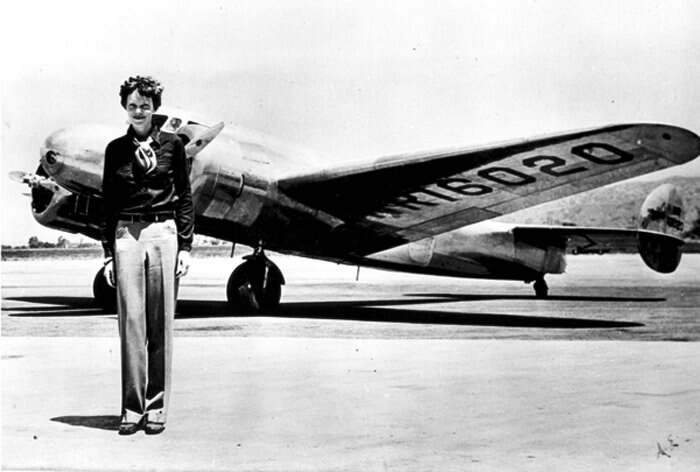 Ms. Earhart was a proponent of air travel and often spoke out in favor of air travel as a legitimate way to travel. She advocated more research into air options. She was also a supporter of equal rights for women and was a member of the National Women's Party. Because she was so interesting, her life story was excellent for radio. Ms. Earhart's story was was featured on Cavalcade of America and on Lux Radio Theatre. Several of her speeches about air travel are available as well. Be the first to comment on "Amelia Earhart"